Story…. A poor but talented Kashmiri boy Noor, is hired as a stable-keeper by Begum. He is deeply infatuated with her daughter Firdaus. Begum notices his actions and sends Firdaus to London. She asks Noor to become successful in order to win Firdaus’ love. When he grows up, he becomes one of the most successful young artist of India. But Begum has another plans to demolish his desires. OR Abhishek Kapoor’s Fitoor begs to differ. This is a pointless film, meandering along in no particular direction, stopping and starting until finally it stumbles to a rather boring halt. 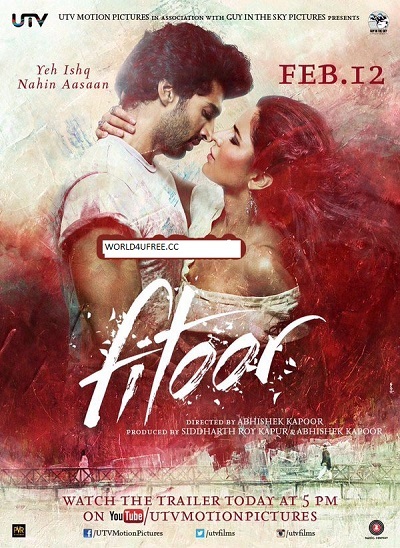 For the uninitiated, Fitoor tells the story of a poor orphan boy and his childhood love for a girl who is from a rich elite family. How their social status comes in the way of their romance forms the rest of the story. Oh, and somewhere there’s a disjointed flashback as well.